SUBHEAD: Protesters Plotted "Border Wall" rally For at Zuckerberg's sprawling 100 million north shore Kauai property. Image above: During construction of the six foot high "Zuckerberg Zombie Wall" that blocked landscape and ocean view along a long stretch of main road that fronted Mark Zuckerberg's elitist retreat. It is as high as the County regulations permit. 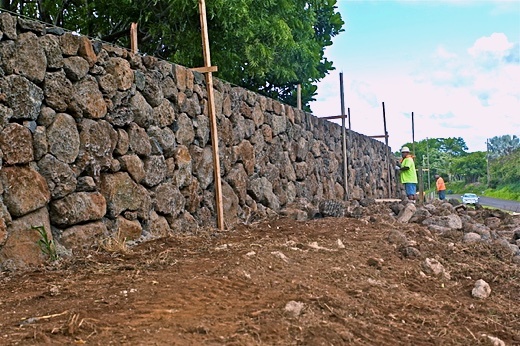 From (http://blogqpot.com/images/zuckerberg%20hawaii%20property%20wall). The quiet-title suits filed are designed to identify all property owners and give them the ability to sell their ownership stakes at auction, according to Keoni Shultz, an attorney representing Zuckerberg. Because the ownership stakes are passed down and divided among family descendants by the state, many people don't realize they have a claim until action is taken against them in court. “It is common in Hawaii to have small parcels of land within the boundaries of a larger tract, and for the title to these smaller parcels to have become broken or clouded over time," Shultz told Business Insider in a statement. "In some cases, co-owners may not even be aware of their interests.